There's a sweet little snowflake stamp in this set but I opted to use a snowfall stencil instead as so I could add some sparkle with glitter. I also used Bundles of Blossoms on the base layer to add some texture and some more glitter on the snowdrifts. 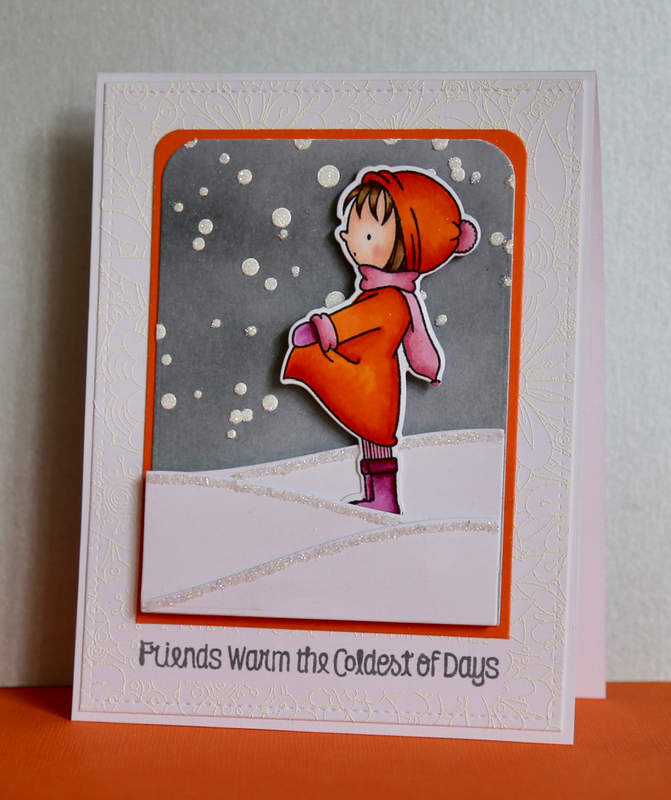 Simon Says Stamp Wednesday Challenge is all about adding a bit of sparkle so I'm playing along there too! Sweet! Your sparkle is wonderful for our challenge - thanks for playing along with us at the Simon Says Stamp Wednesday challenge!